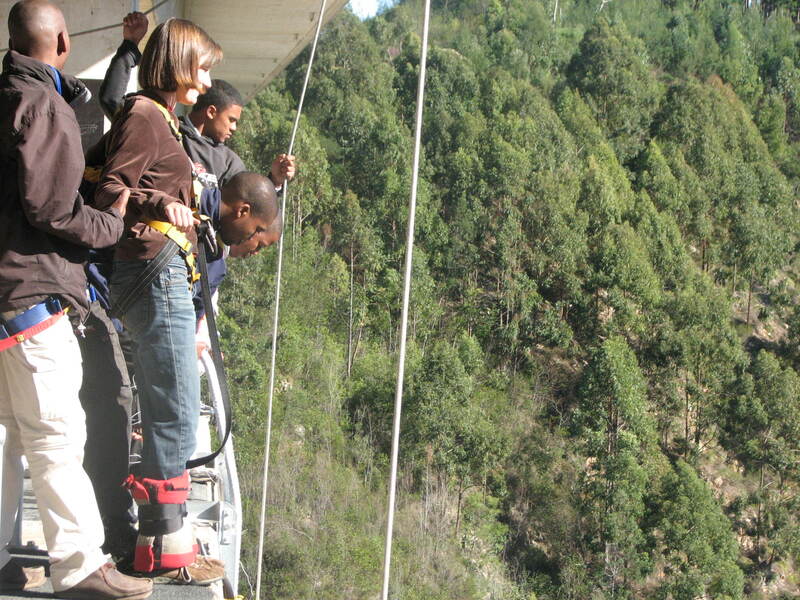 Bungy Jump of Doom | Where is Yvette? For all two of you who still check in here wondering if I’ll finish discussing my adventures (not my fault, I swear! blame CWRU Physics! 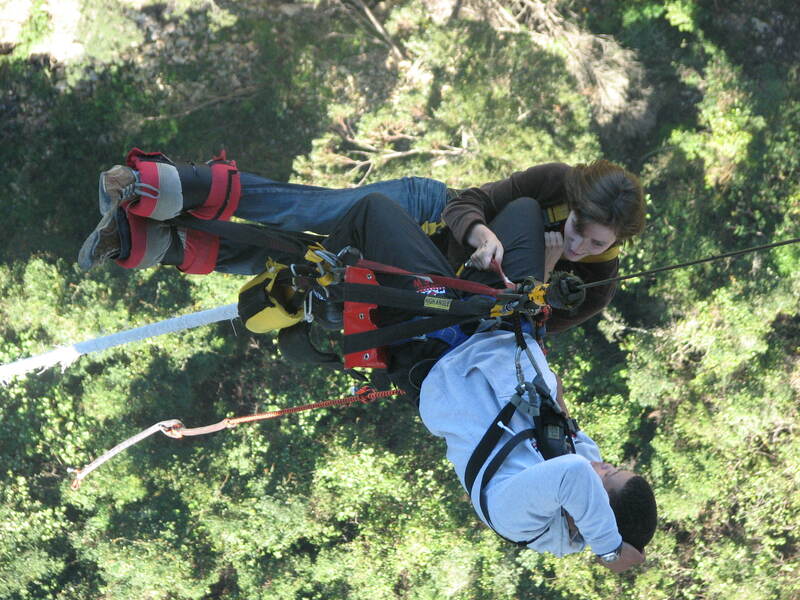 ), here’s a bit about what it’s like to do the world’s tallest bungy jump. With photos because for the first time on my trip I copped out and bought the CD that had ’em. 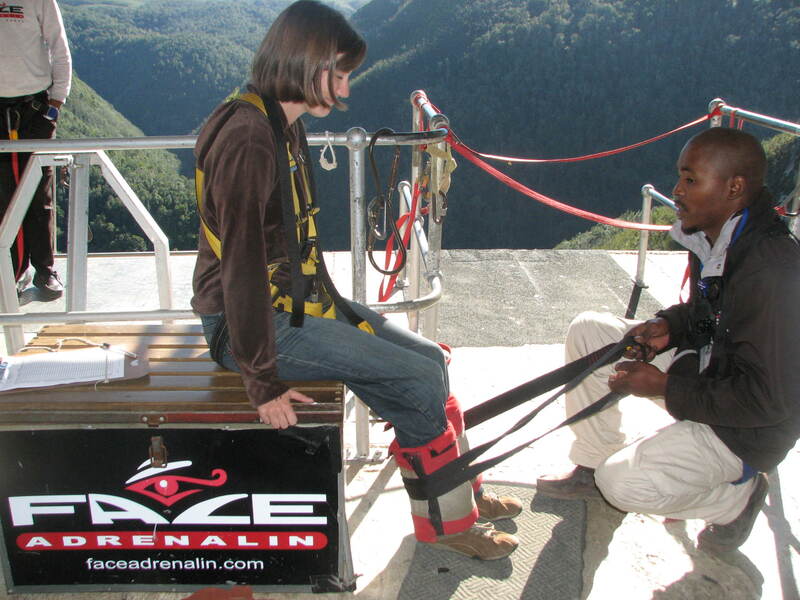 The important thing to recall about me and bungy jumping is I’ve done this before- a comparatively much more tame 74m jump off the Kawaru Bridge near Queenstown, New Zealand. I liked it so much that I was keen to do it again, and typically don’t get too scared about this sort of thing so long as I have sufficient time to analyze it in my physics-y sort of way. Just a bouncy spring, right? Claiming you are in control of your fears only goes so far tho, as you still have to jump. When it comes to adrenaline activities by this point in my life, I freely confess the taking initiative parts are very much driven by the “wow that girl looked like an idiot who stood there for a few minutes freaking out, don’t want to be her” approach. Plus c’mon, if you paid as much as you did you’re gonna do it anyway! Um, ok. So this is the point where I freaked out. See physics is all fine and good, but logic will fly out the window when you begin to feel on your rebound bounces that your legs are slipping out of the harness. I kid you not! 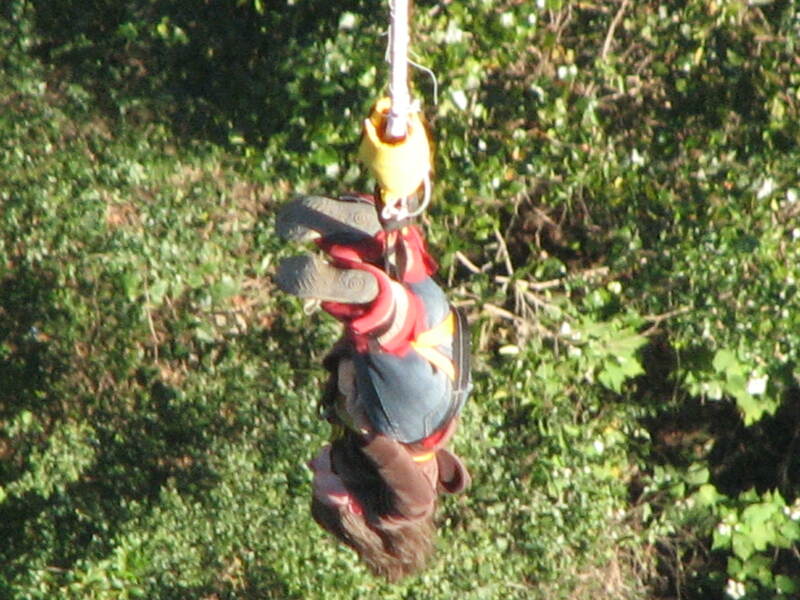 Later I realized there was an emergency cord on my chest so I wouldn’t have died obviously, but panicked minds do not think of such things while dangling headfirst several stories above the South African forest. Rather, they get a huge terror-stricken sense of foreboding while thinking “oh pleasepleasepleasepleaseplease…” directed towards no one in particular (this being proof that I will never be religious). Very cool! 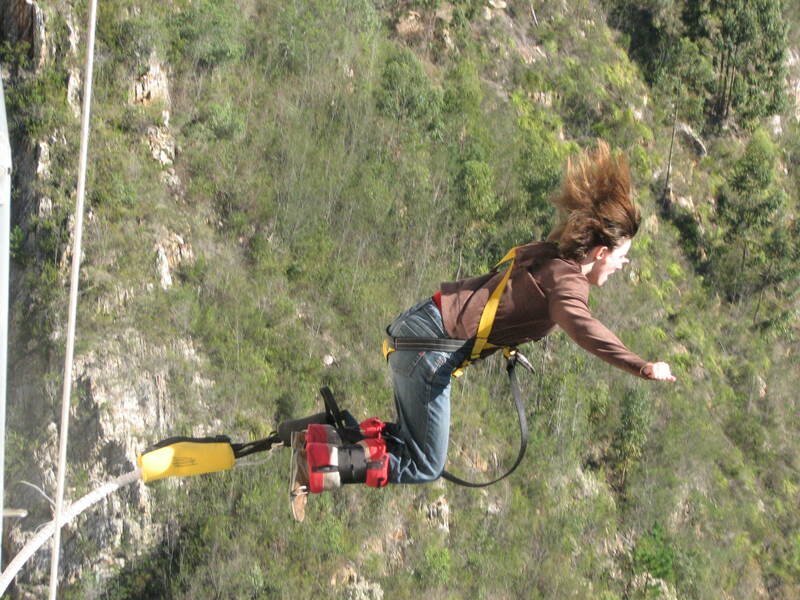 I would love to do this bungee jump. Looks like so much fun! Pingback: Canyoning at The Last Resort | Where is Yvette? Thanks! I did go skydiving once a few years ago, but confess I found that a LOT easier than bungy jumping because the ground is so far away that it doesn’t feel tangibly nearby (plus it was a tandem jump and a bunch of us were going out at once, so there wasn’t time to think much about it). Definitely something I’d like to do again someday if only because I don’t think I ever understood what was going on AT ALL during the freefall!